MINI Cooper Acccessories + MINI Cooper Parts :: OutMotoring.com MINI Blog :: MINI Lifestyle :: MINI Mouse for your office! That's right, just when you thought you had it all MINI brings out something new you simply MUST own. 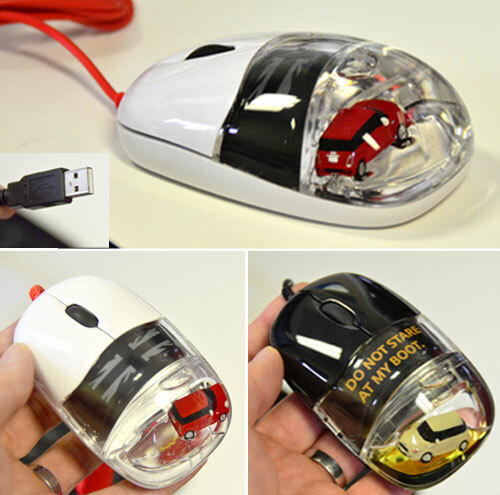 The USB MINI themed computer mouse makes a great gift for that 'difficult' MINI owner in your life- and makes a great atta-boy gift for yourself! Available in 2 different designs to suit your mood. Comments on MINI Mouse for your office!